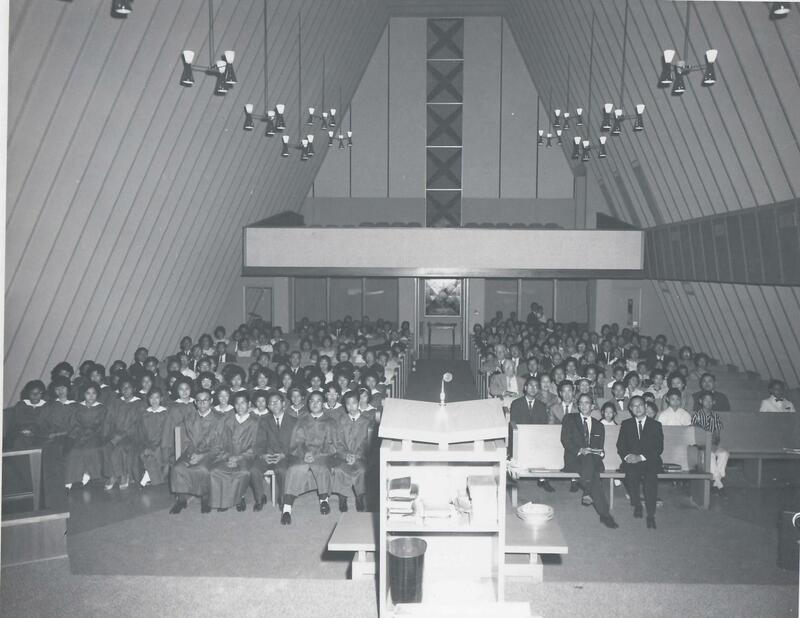 Chinese Baptist Church at 1823 Lamar Street in Houston in the new sanctuary completed in June 1962. The church was dedicated in 1962. The choir, members, Pastor Lok-Tin Cheung, Pastor Travis Key and music director T.K. Eng were here for an afternoon service and church anniversary. CBC Lamar had morning and 4 p.m. worship services on Sundays. Church members heard Pastor Travis Key’s English sermons translated into Cantonese by Dr. Joyce Fan, who came to the church in 1948. Dr. Fan, a chemistry professor at Houston Baptist University, was the church’s building director for 25 years. “She had the vision to expand the Lamar church,” said Viola Chan, CBC member and editor of CBC’s fundraising cookbooks. Dr. Fan also helped the church move to its current location on Brogden Road in Hunters Creek Village. The Lamar Street church site no longer exists and is where George R. Brown Convention Center is located today. Judy Chong is one of the choir members in the 1962 photo and has fond memories of the church on Lamar Street. “It was like a homecoming where we could go and be ourselves,” Chong said. Today Chong is retired and a certified public accountant who worked in the public sector and M.D. Anderson Hospital. Since CBC’s Lamar Street days, Chong and her family still attend Chinese Baptist Church on Brogden Road and remain faithful, active members. 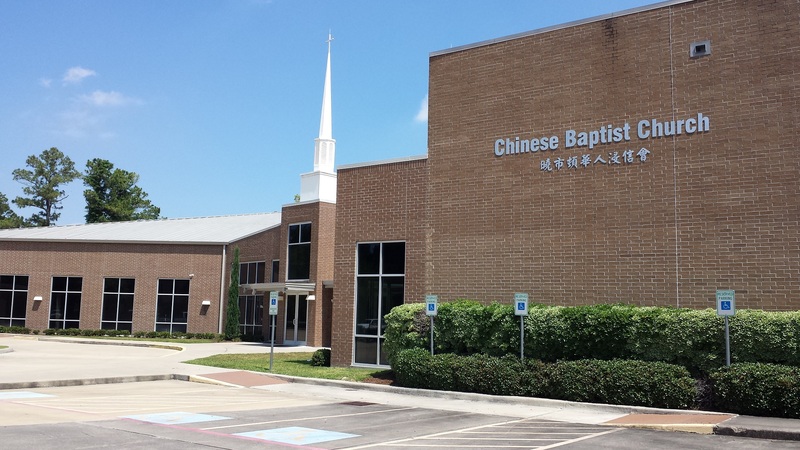 Since it began as a mission in the basement of First Baptist Church, Chinese Baptist Church has been around for 80 years in Houston. During changes in pastors, leadership, building expansions and locations, the church’s mission remains constant–to worship together, to celebrate their faith in Jesus Christ and to bring others to know God and His salvation plan for everyone. Senior Pastor Dan Ho leads the church today. Ho, who was born in Hong Kong, immigrated with his family to the United States in 1965. He became a believer in Christ in 1970. Ho was studying engineering before God called him into full-time ministry in December 1976. Ho and his wife, Barbara met at Nyack College where he majored in religion. They married in 1979. The couple started an English-speaking church for mostly second generation Chinese in Manhattan in New York City’s Upper West Side. A few years later, Pastor Dan and Barbara Ho started a church in Queens, New York in the Lower East Side. The church in Queens ministered to more than 30 different nationalities and 5 different congregations. Pastor Ho led that church for more than 25 years before moving to Chinese Baptist Church in Houston. While at CBC, Pastor Ho has helped the church expand its ministry to go beyond the Chinese community and reach out to multi-racial and non-Chinese. The church with 646 members offers English, Cantonese, and Mandarin-speaking services on Sundays. “It’s the same thing. The mission hasn’t changed. It’s an outreach vision. It’s the Great Commission…. to reach people for Jesus Christ, to disciple them and grow them up in the Lord,” Pastor Ho said during a busy Tuesday morning at the church. Below a church history complied from “Investing in God’s Kingdom” under the leadership of former CBC Senior Pastor James Wong, a CBC booklet under the leadership of former CBC Senior Pastor Dr. Victor C. Wong and interviews with Viola Chan. In 1938, Chinese families met for Sunday School in the basement of First Baptist Church at 1020 Lamar Street in Houston. With the help of missionaries, the group held its first Sunday School on May 5, 1940. In 1950 First Baptist Church provided money to build a small church at 1823 Lamar Street. The church opened to the public on April 30, 1950. CBC became an independent Southern Baptist Church in 1953. Reverend Travis Key and Dr. Hong Sit led 150 members. In 1958, H. C. Au Yeung became the interim pastor. “He was very effective with the Chinese-speaking congregation,” said Viola Chan, part-time secretary during Reverend Au- Yeung’s ministry. Reverend Lok-Tin Cheung served as CBC pastor from 1959 until he retired in 1989. During his ministry, the church grew to over 1,000 people. The church bought a parsonage on July 21, 1960. 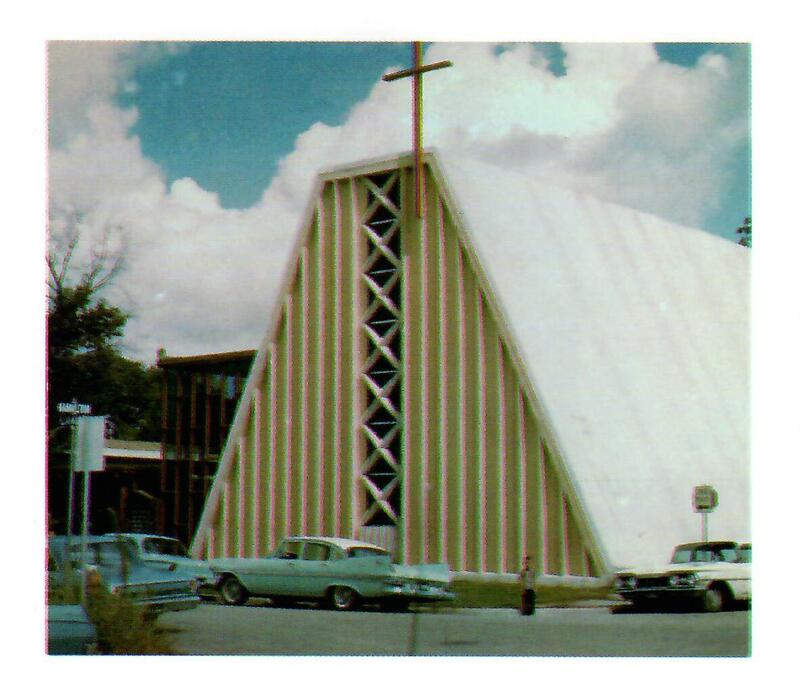 A new sanctuary was finished in June 1962 at the Lamar location. On April 27, 1975, Chinese Baptist Church’s new sanctuary and education building opened at 900 Brogden Road in Hunters Creek Village. A Family Life Center was added in 1981 with more classrooms, a gym and large kitchen. In 1986, a fault line on the Brogden Road church property shifted and caused structural damage and increased stress to the Sanctuary building. The fault line shift was due to the Mexico City earthquake. With more people attending, worship services moved to the gymnasium until a new worship center was built on the property. On July 1, 1989 Reverend Dr. Victor C. Wong became the senior church pastor. He stayed until August 21, 1994. English Associate Pastor George Lim was part of Reverend Wong’s staff. Reverend James Wong started as Chinese Associate Pastor in 1987. Reverend Wong served as Senior Pastor from 1995 to 2005. Reverend Coleman Chong came September 1981 as English Associate Pastor under Reverend Dr. Victor Wong. Since March 2012, Pastor Dan Ho has led the congregation. Ho is the current Senior Pastor. Construction on a new sanctuary started October 2013. It was dedicated on July 6, 2014. 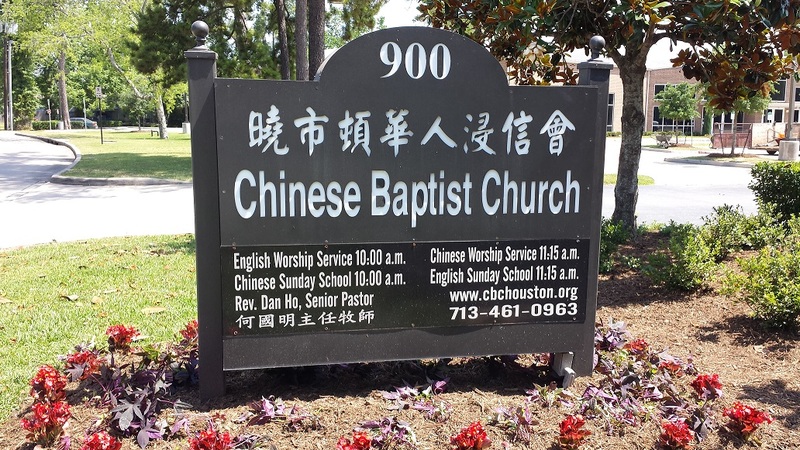 This entry was posted in Asian Community, Asian Community Houston, Asian Community News, Asian Pacific American Heritage Month, Church News, Harris County News, Houston News and tagged Asian Pacific Heritage Month 2018 Houston, Chinese Baptist Church Houston, Judy Chong Chinese Baptist Church, Pastor Dan Ho Chinese Baptist Church. Bookmark the permalink.